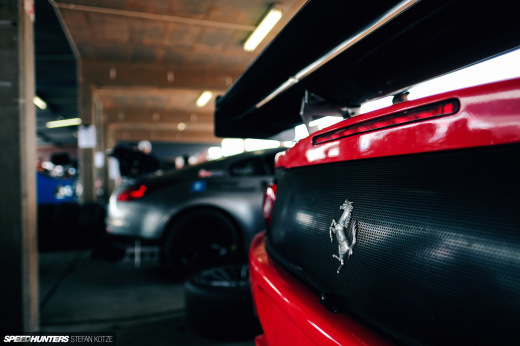 Among any field of race cars, without any exception there is always a singular car that endears itself to the spectator, photographer or certified automotive maniac. Whether through spectacular levels of performance, a quality of build and presentation beyond all others, or even being just plain unusual, one machine always commands an individual’s attention. 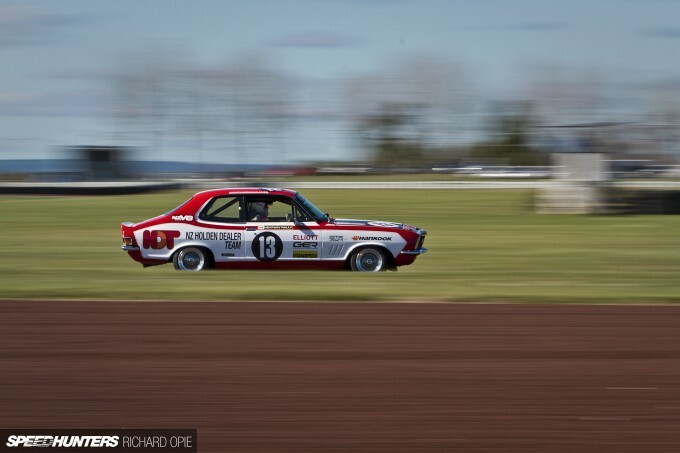 While photographing at Taupo Motorsport Park in New Zealand’s central North Island, that car made itself apparent to me amidst the Central Muscle Car (CMC) series flock of cars – a tricky bunch of machinery to really stand out amongst. Why? 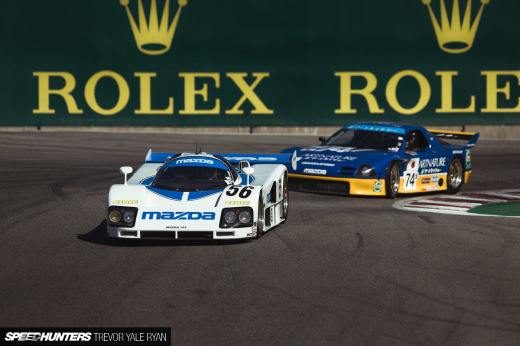 Well, the series speaks for itself, featuring an entry list restricted to a vibrant smorgasbord of primarily pre-1978 American and Australian tin-tops, powered predominantly by a range of bellowing V8 powerplants featuring horsepower levels of 850 and beyond at the pointy end. 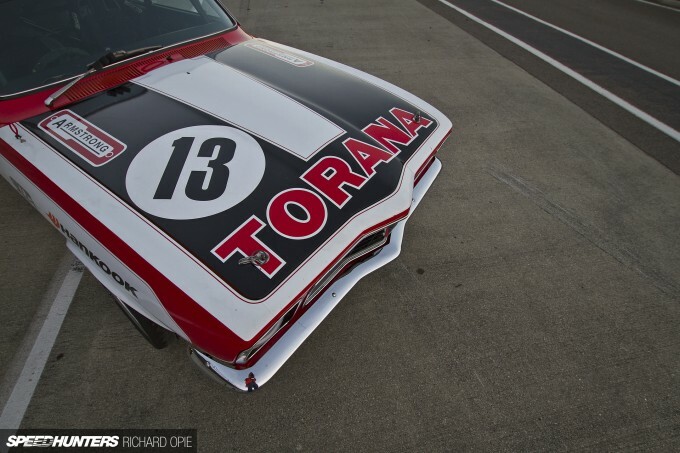 Although the CMC series is home to track weapons many times more wild than the Torana, the LJ features preparation more akin to a historic touring car, as the livery suggests. 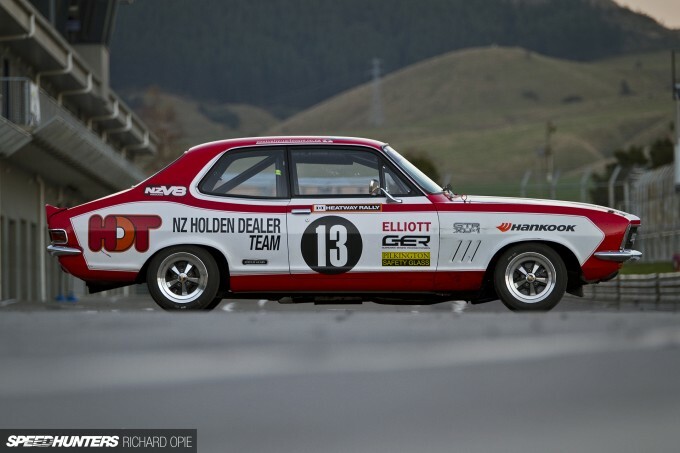 It’s fitting too, because this car commenced life off the showroom floor as a racecar, winning the 1973 Shell 100 endurance race for production cars at the hands of noted Kiwi saloon car champion Rodger Anderson. Modelled after Colin Bond’s 1973 ‘Dealer Team’ Heatway Rally New Zealand car, the lurid concoction of red and orange tones screams the ’70s. Interestingly, the original ‘Lone O Ranger’ orange paint remains beneath the current vinyl wrap. Complementing the period livery is an appropriate set of rolling stock. 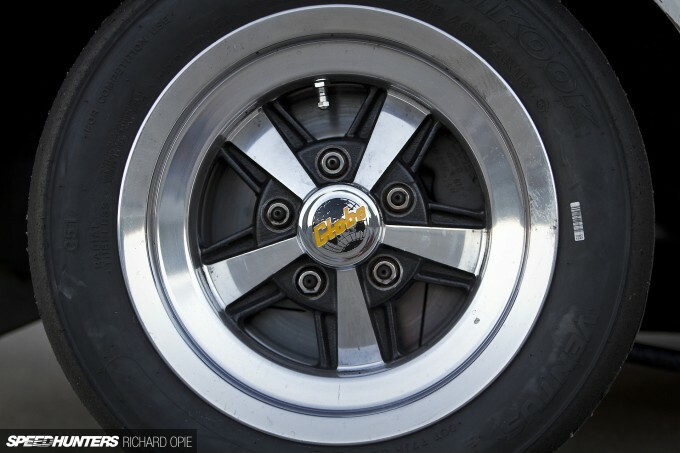 Originally seen on the pukka Holden Dealer Team LJ’s campaigned by the likes of the late Peter Brock, Dr. Elliott’s car perches neatly on a set of 13×8-inch front and 13×9-inch rear Globe wheels, of which I’m told a mere 12 sets were originally produced. 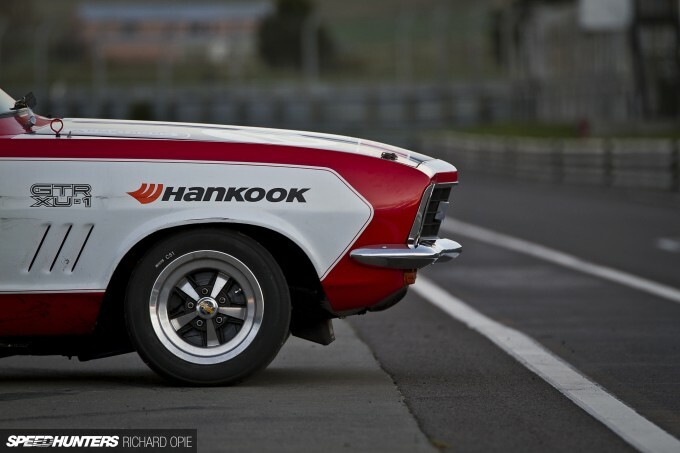 Thanks to local wheel manufacturer reproducing a limited run, the Doctor’s car authentically wears one of 20 or so reproduction sets wedged inside a set of sticky 225/45 Hankook slicks. The sonorous straight six soundtrack is created by none other than a dry sumped Holden ‘red’ 202ci (3.3-litre) pushrod engine, as per GTR XU1 specification. 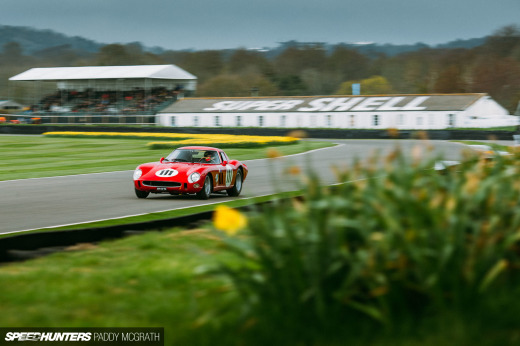 Pushing 350hp and redlining at 6,500rpm, the six features a J.Zed down-port head – the ultimate in period performance additions for these engines and designed initially by Phil Irving, famed for his toils on the Repco F1 engine that took Jack Brabham to the 1966 World Championship. 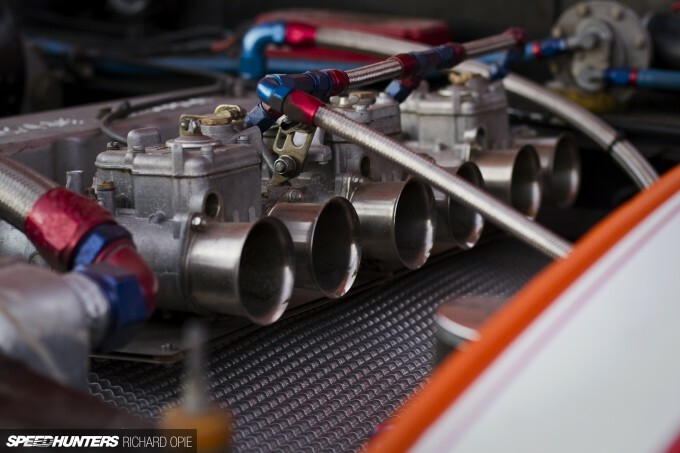 Ensuring the 202’s increased appetite for fuel and air is quenched is the job of triple Weber 50mm side-draft carburettors on a matched manifold – no doubt also a contributor to the wonderful noise the car produces. 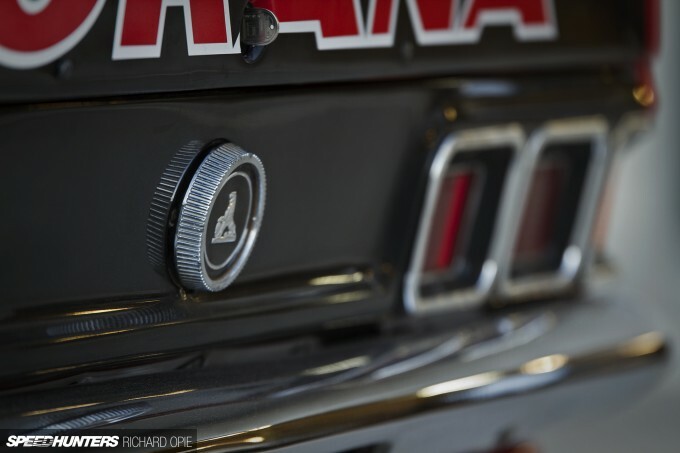 JE forged pistons, Carillo rods and an extensively modified and balanced standard crank all contribute to the puzzle that is the Torana’s unique point of difference among the CMC field. 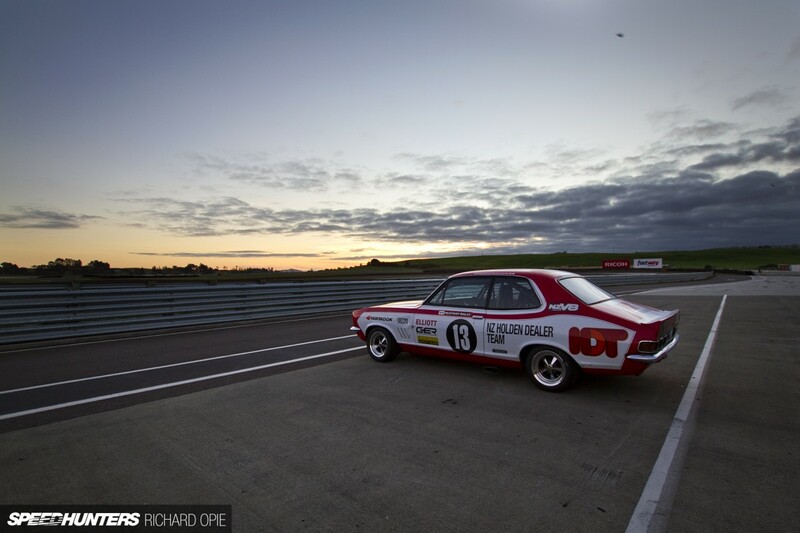 In the interests of reliability, a Toyota W50 transmission equipped with a close-ratio, straight-cut gearset is employed, while out the back a VL Commodore-sourced Borg Warner LSD unit nestles snugly within the standard Torana housing. 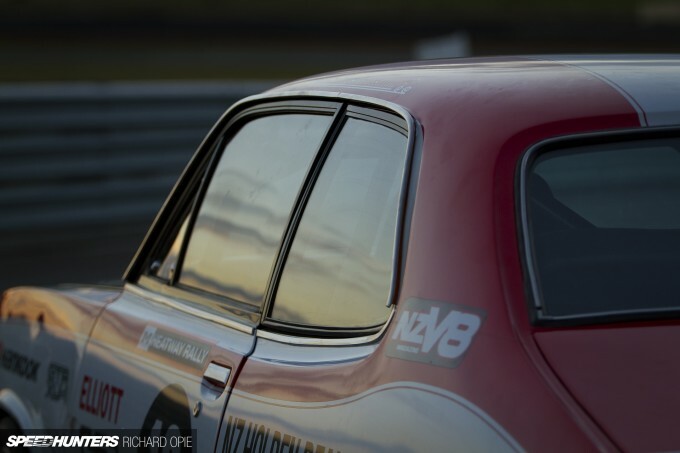 And speaking of snug, even though they’re not visible, period-style Lockheed calipers grasp vented rotors up front, endowing the Torana with – in Dr. Elliott’s words – “one of the best braking racecars I have campaigned.” Praise indeed coming from a man with extensive Porsche experience! Unique enough yet? 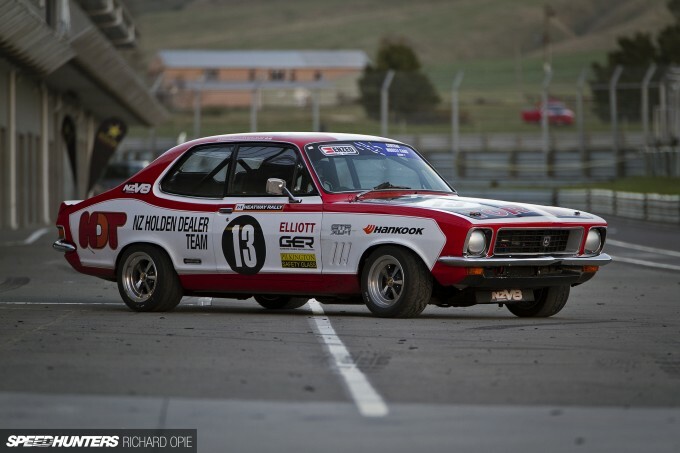 Despite being the proverbial David among the Goliaths of the CMC field, the XU1 has proven a worthy contender with overall series honours in Group 2 for the 2012 season, as well as a string of podium finishes – and with the Doctor still having a ball behind the wheel of one of the CMC’s most adored cars. Expect the distinctive inline six howl to resonate among New Zealand’s circuits for seasons to come. I love the 70"s livery with the battle scars too. Wheels are oh so 70"s like we had in the uk called rostyle wheels as fitted to mg"s and the 1600e cortina and some vauxhalls too. Just need a deloren to take me back!!!!!! Nice write and incredibly cool car. I bet that six sounds awesome! I like when Fred Gibson brought the R32 Skyline GT-R to race against the Ford Sierra and Holden Commodores in Australia in the Bathurst 1000. V8's vs. inline 6 twin turbo R32. 1991-1992 they dominated killing those competitors. Go to YouTube and watch the carnage. Then the dirtbags changed up the rules so the GTR couldn't race in that class. 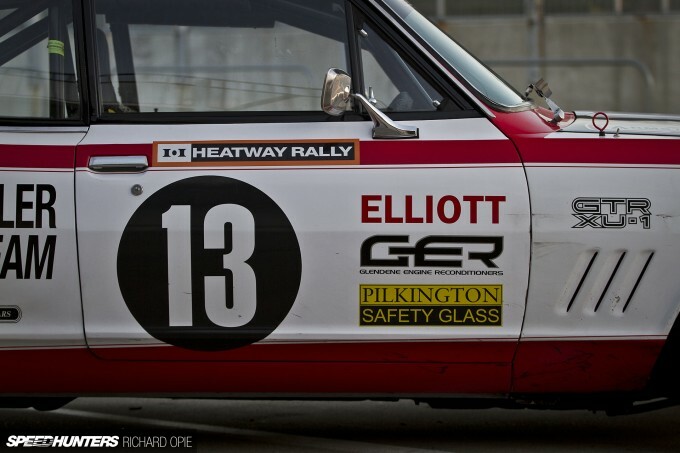 The new regulations created a separate class for 2 litre cars, based on the BTCC's regulations of the time. This class excluded turbochargers and four wheel drive, effectively ending the Nissan's GT-R’s eligibility. In response Nissan withdrew from Australian motorsport. I wish we'd see more videos uploaded here. 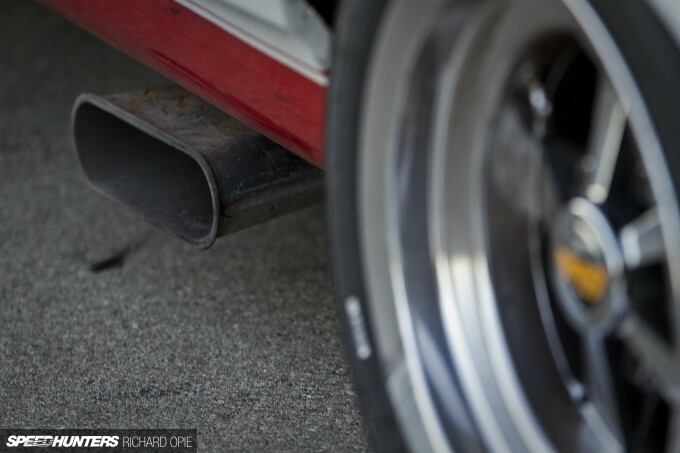 For the very reason of hearing this thing scream! ryukyustriker kind of sort of, but really this was an end of Group A on a worldwide scale it wasn't so much a case of sour grapes as popular opinion would suggest. So following the discontinuation of Group A touring car regulations, manufacturers stopped making homologation specials, so there wasn't anything to race essentially. UK/Europe largely switched to Class2 (which became Supertouring) while Australia forged it's own path, much like Germany with DTM, and went with the successful V8 Supercar formula. turbom The battle scars make it! Nothing like having the stones to throw a rare, tidy, valuable classic race car around a track door-to-door with several others. stumanfu5 The One Otaku I'll see what I can dig up for you! As I said with the FX Holden story a few weeks ago, I'm absolutely massive on Holden sixes. 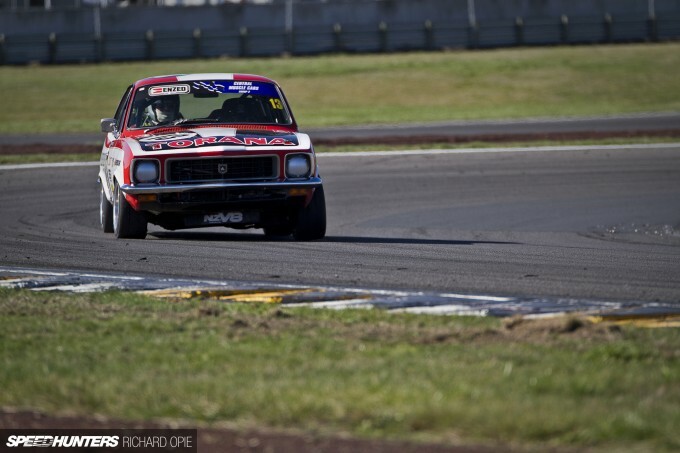 And now finally a 6 powered Torana on Speedhunters!!! Yippee!!! 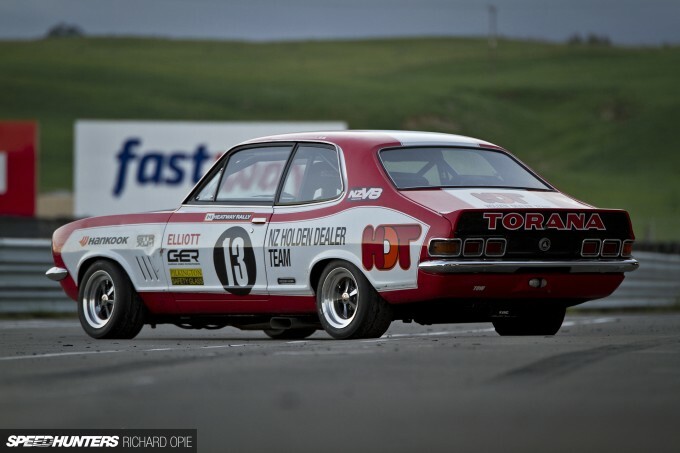 These things went toe to toe with the big Falcon GT-HOs at Bathurst, winning in 1972. Have a look on YouTube for 'Torana XU1' and be impressed on how these things are dead set giant killers. Nice write up and photos, Richy. 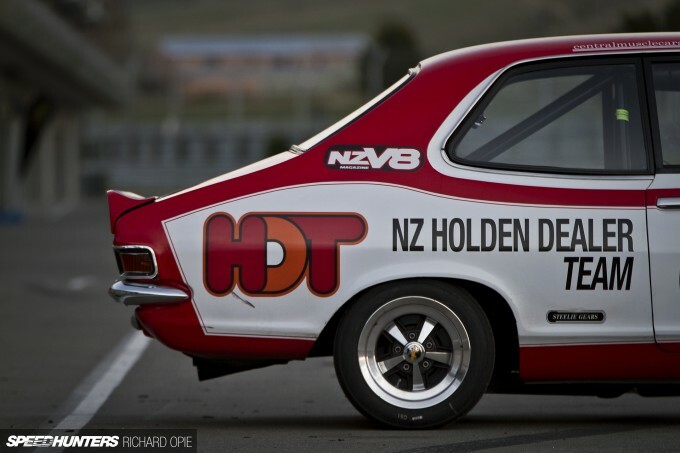 Dr. John's actually got a new Torana in the build for next season of CMC (V8 powered) as he's becoming increasingly aware of this one's rarity and value — this one's definitely the coolest, though!